It appears that God is leading us on a journey which we have known from the beginning to be one where all that we can do is grab on to God's Hand and hang on as He directs and leads us along His path of "getting the Gospel to every creature." 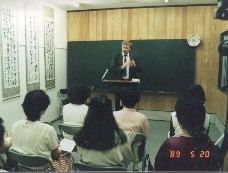 In 1989 we began Shimonoseki Christ Bible Church, here in the Kawanaka community of this city of 260,000 people. 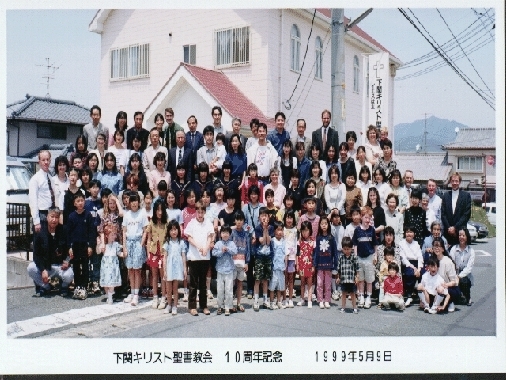 Fourteen years later, over 300 Japanese have professed Christ, with currently about ninety believers on average meeting each Sunday in Kawanaka and our center in a southern community of Shimonoseki called Hikoshima. In addition, due to schooling, job transfers, etc, we have well over 100 people who were saved in this ministry and who are now living in different parts of Japan and other countries. For years several hundred Christian Japanese believers have been praying for God to enable them to reach all of Shimonoseki with the gospel. The church received an unbelievable offer from the biggest bank in Shimonoseki. They offered the church the opportunity to purchase their former head office along with its large parking lot. This is a huge facility that is located in Shimonoseki's downtown business and shopping district and is within an eight minute walk from Shimonoseki's main train station. 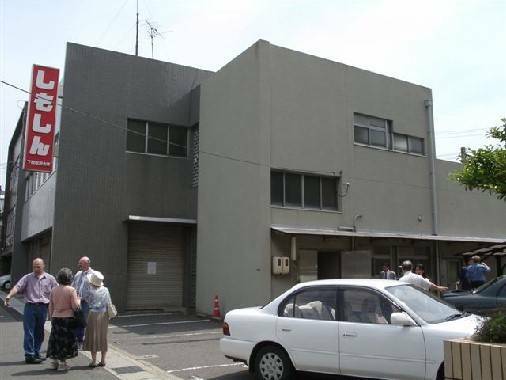 This location makes our ministry easily accessible to everyone in Shimonoseki but also to the more than 1.5 million Japanese in the next city of Kitakyushu. The bank seriously pursued this deal and made concession after concession for the church to sell them this two million dollar piece of property. The final deal was the absurd price of $500,000, no down payment, a low monthly payment of $1600 (along with some one time payments dispersed throughout a 25 year plan), delay on the first payment for 12 months, and the land and building set as the only security. The new ministry center now houses a Christian bookstore, our large worship/evangelistic meeting hall, Bible training and outreach English classrooms, and guest apartment rooms. This truly is exciting knowing that God intends to fill this building with hundreds of worshippers and bring honor to his name and encouragement to his people in Shimonoseki and southwestern Japan. We are thankful for the many who have prayed this miracle into existence and we look forward to how God continues to provide both the funds and the workers for His harvest. Copyright 2001-2006, PIONEERS Japan, All Rights Reserved.